Beautiful flowers are a must on Mother’s Day. 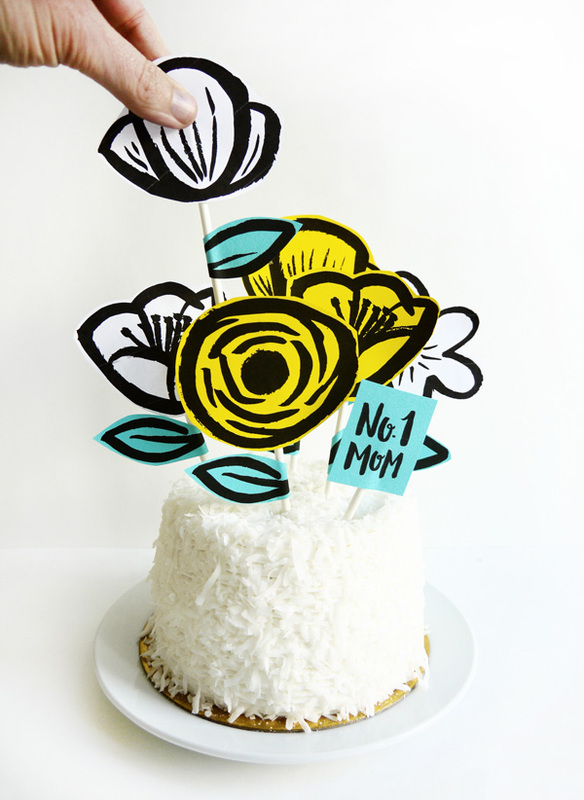 Why not go over-the-top this year and make a flower garden cake for your Mama! 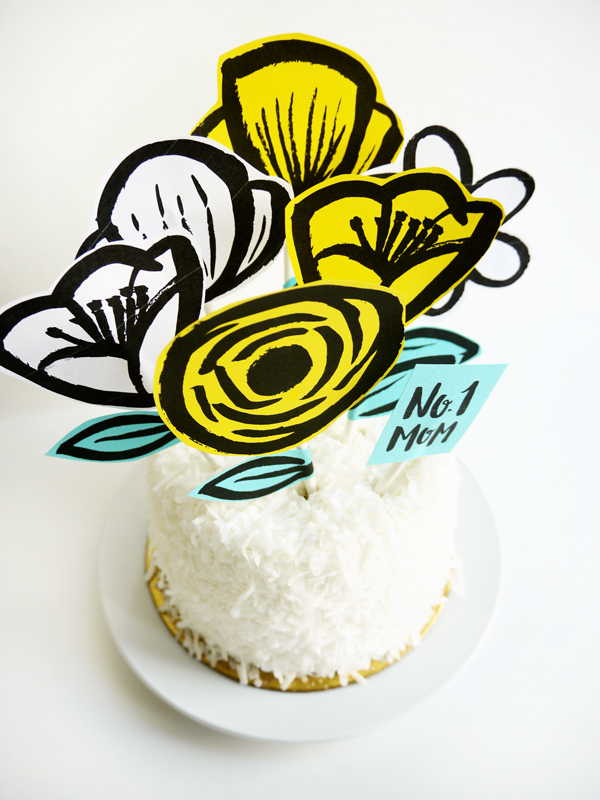 You can print the flowers & leaves on any color card stock to customize a cake of any size. This fun and easy-to-assemble printable will be sure to leave a big impression on your Mother! 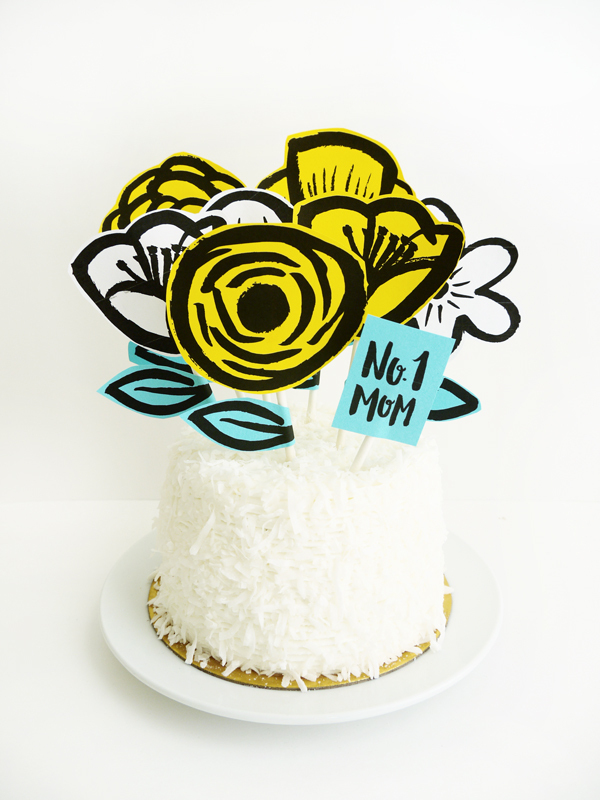 Materials: Printable Mother’s Day Garden Cake Topper Template , 8.5 x 11 colorful card stock, scissors, masking tape, 6″ lollipop sticks (also used for cake pops). 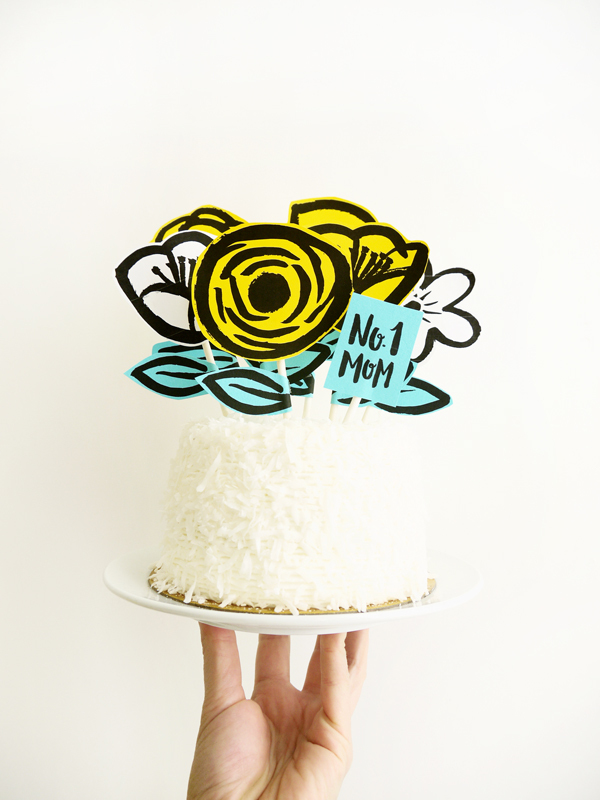 Step 1: Print out the Printable Mother’s Day Garden Cake Topper Template on 8.5 x 11 card stock. Print the leaves on different colored paper than the flowers. Step 2: With the scissors, loosely cut out the flowers & leaves. The look cute when you leave some color around the black edges. 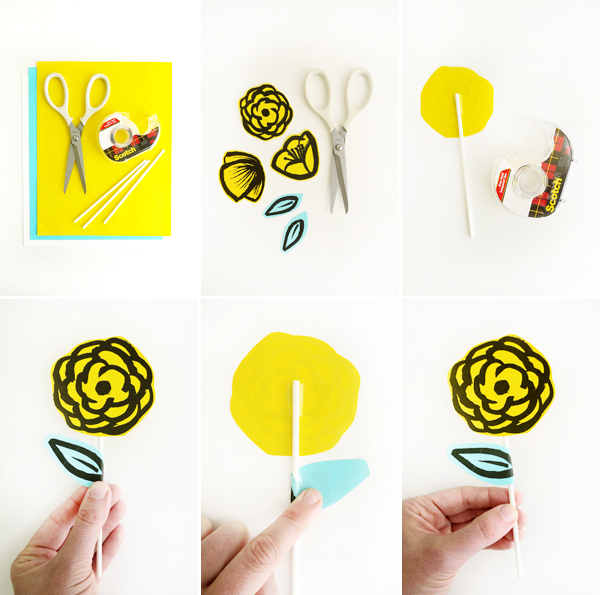 Step 3: Adhere a lollipop stick to the back of each flower using the masking tape. Step 4: Add a leaf or two to the lollipop stick by first rolling over the bottom of the leaf over the stick then adhere with masking tape. 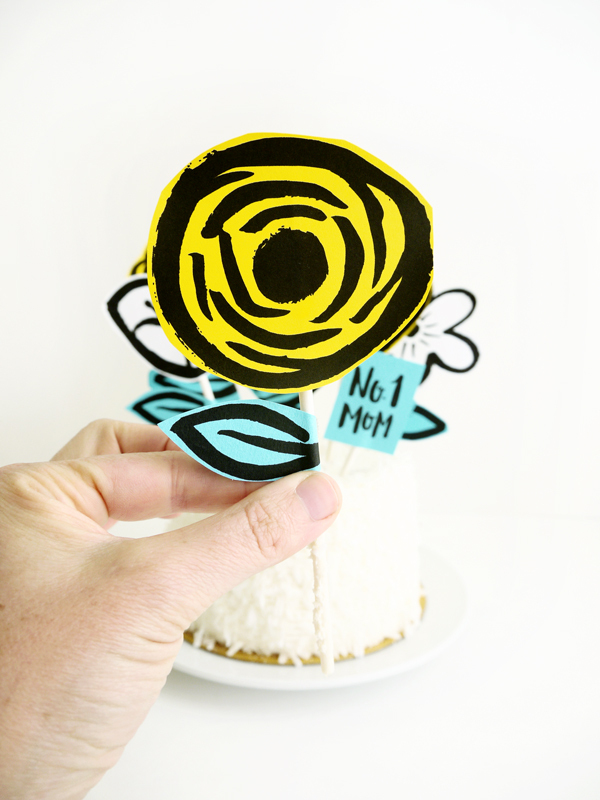 Step 5: Once the flowers are assembled, arrange a beautiful display on top of a cake (these also look great on cupcakes!). Love this! Such a a great idea! I love this cake topper! Maybe if I print it out an put it on the counter, my husband will make it happen for me! Love these!!! I have used them for my mini mothers day mud cakes. I will be sure to tag you in the photo when I post on Instagram, what’s your #?